manages and maintains the Rasmussen Blacksmith Shop and Museum, and the Narrow Gauge Railroad Museum. is located in Ipava Illinois. (309)309-254-3207. 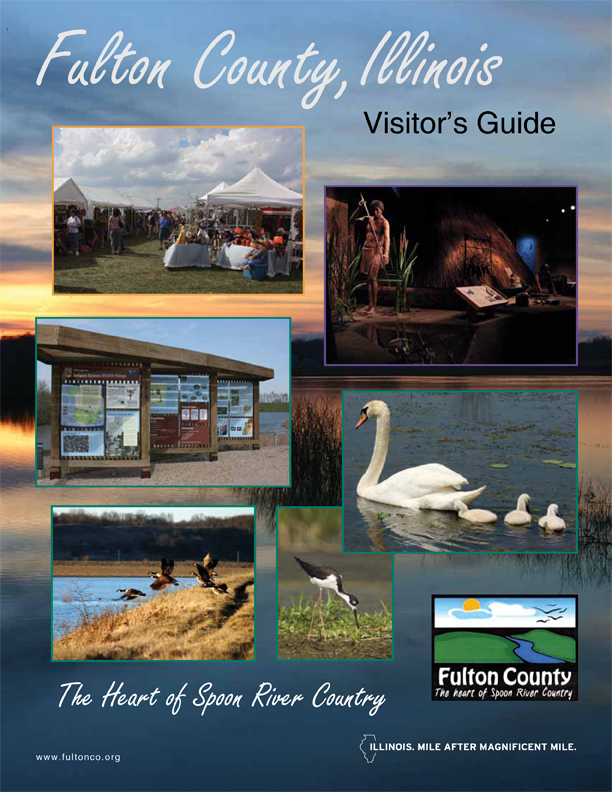 In addition to Dickson Mounds Museum, several other small museums exist in Fulton County. Lewistown is home to the Rasmussen Blacksmith Shop and Museum, and the Narrow Gauge Railroad Museum. The Easley Pioneer Museum, located in Ipava, features a restored one-room country school, an exhibit describing nearby World War II Camp Ellis, and the remains of an early pioneer log cabin. Adjacent to Riverside Park in London Mills is the restored Ross Hotel, operated in the late 1800s and early 1900s. In Ellisville, the Historic Ellisville Restoration Organization has purchased many of the historic buildings along Main Street and operates the Post Office Museum. All of the museums mentioned here are open during the annual Spoon River Scenic Drive Fall Festival held during the first two full weekends of October, and by appointment.